This is the claimed meaning of the crop circle shown below on the site where I found it. Clueless, clueless, clueless!!! If these are your chakras they are in one hell of a mess! Seven chakras would be aligned there is no hallway between them. I had no intention of talking about this at this particular point, but here it is, so I will give a brief overview. This is one of the early steps in the ascension path, once the the Kundalini has been fully opened. (and there is no fudging on the Kundalini thing) see more detail on that below. You must enter the Grand Hallway of the Infinite Self from the earth walk, circle of life (see diagram below). You may enter from any of the four directions. Depending on your personality and lessons entering from one direction may be more difficult for you than entering from a different direction. Once in the hallway you will find doors of possibility. This aspect may take many meditations to complete, depending on how many possibilities there are in your life that you have not considered. As you walk through the hall, one person may have three doors on each side, another may have hundreds. The key is to keep moving past them to the end of the hallway where you will have to face your sentries. These are the parts of yourself that do not want you to to change and move on. You want to get past all these sentries into the Eternal Circle the Seat of the Soul. The sentries may present themselves to you as things you fear. For many people that may startle them out of meditation and they will have to try again another time, hopefully the next day. You want to work on this every day until you get into the circle then you will be ready for the next step. If you have gotten into the hallway but are finding the journey really difficult, lets say it’s been a month with no sense of accomplishment or movement, you may want to go back out in the circle of life and enter one of the hallways from one of the other directions. Say you entered from the south, and it is just not working, move around the circle and attempt to enter the west hallway instead. Really make sure you need to do this though. It can slow things down to start in a different hallway, if you are just experiencing a mental block, or you are inexperienced at meditation. The next step is taking control of the Seat of the Soul . This crop circle from June 6th the day before the grand hallway one is a presentation of the sphere of an Ascended being (Dharlja) The two lines that form the football shape are an attempt to show the dimension of it being round. 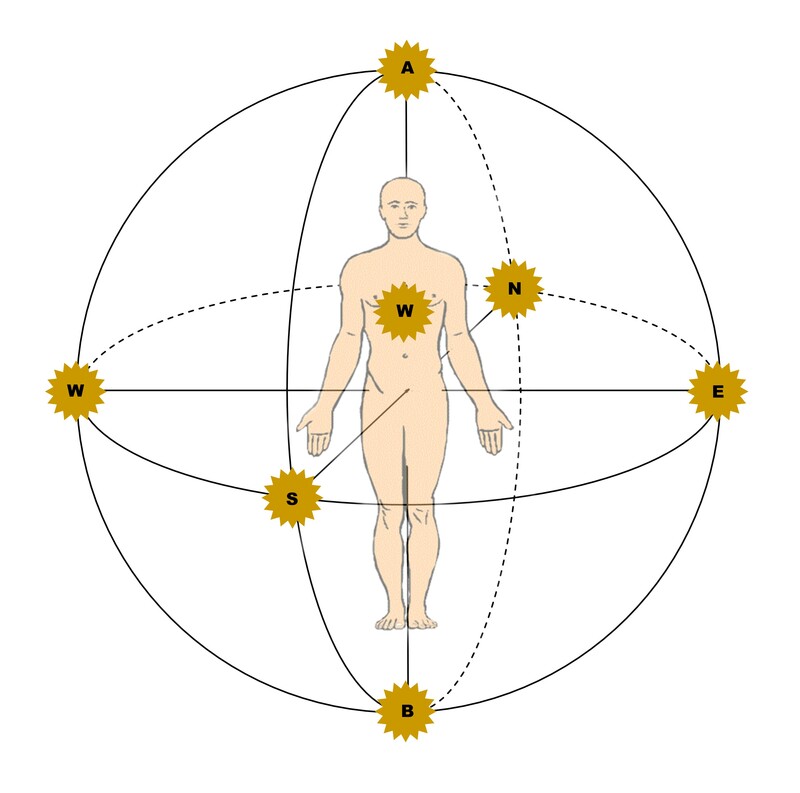 The sphere has four primary vertical quadrants that are held by the Elemental Chakras. The first awakening of the sphere is the Kundalini awakening of the Elemental Chakras. There are several steps between the Kundalini completion and the full activation of the sphere. These steps all come before the Grand Hallway of the Infinite Self These are just outline points and it has always been my intention to get more info about them on the site, as well as the steps that come after the Grand Hallway of the Infinite Self . 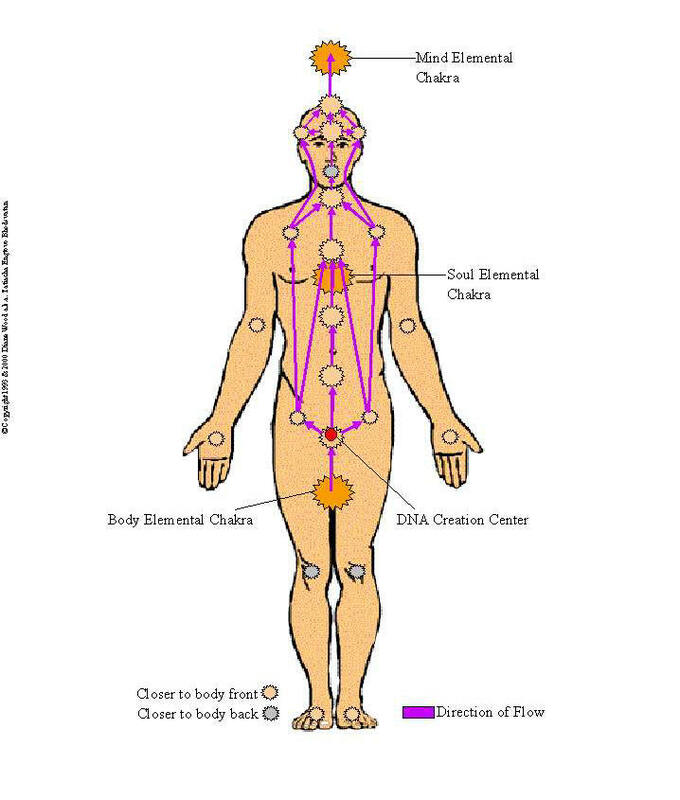 · Later after the Kundalini, the lower 3 Chakras are most important. To leave mortal issues in the mortal, remain grounded, integrate lessons and information, activate solar plexus connection to God within and fully activate creation chakra (navel). · Heart remains equally important all through the process, although it is less likely to get blocked totally after the Kundalini opens. · Where is your Kundalini, at what stage, dangers etc. · This flow begins out of the body elemental chakra. It is timed with DNA sequence, if activated early it is dangerous, even deadly. many people have chosen not to activate it in a given lifetime at all or even many lifetimes. (this is of the souls who are of a level compatible with opening it at all) It is the purest energy of the creator possible to experience while in a physical body. It is creation, given from creator to higher self it enters the body elemental then enters the root chakra, where a DNA sequence begins and a center known as the DNA creation center is activated. This center is slightly higher than the root chakra and deep in the center of the body cavity. · In men the onset of Kundalini is the only time this center will activate. In women it activates at the time of conception for 28 days to allow the soul of the child to connect and begin to create it’s body, and also at the onset of the Kundalini. Activation of the Kundalini before child bearing is beneficial for child and mother. It can be dangerous or deadly for it to start it’s process during pregnancy (beyond the 28 days). For this reason many women choose not to activate until they have given birth to all the children they wish to have. · Moving up the chakra system, when the Kundalini reaches the heart chakra energy is added from the soul elemental chakra, to further enhance the progress of the Kundalini process. · The Kundalini continues to move upward and out of the crown chakra where it comes to join the mind elemental which links directly to the higher self and the creator. · This process can not be forced or rushed or stopped once it reaches a certain point. There are a few techniques to assist the Kundalini making a positive body transition. This energy is often misunderstood to represent sexual energy, which it is not. It is creation energy that effects all chakra equally including the second chakra that deals with sexuality. · The process normally takes from 6 months to 10 years. As the Kundalini move up the body it creates all cells to be in alignment with a DNA sequence of higher consciousness as programmed by the higher self before birth. The further the current sequence is from the new sequence the more difficult the transition. This is especially true as the Kundalini enters the brain and reprograms brain cell DNA sequences. This is the most common time in the Kundalini process for death to occur, often in the form of a stroke or aneurysm. The higher consciousness vibrational level is dependent on advancement of the higher self, and life choice of the higher self. Difficult transition can be the higher self forcing so to speak, the potential into a large jump for the greater good of the soul growth. Often it is this tremendous jump that is what causes risk of death. The higher the vibrational jump the higher the risk. Many have died before they finished their life plan due to the higher self’s desire to take the larger risk on the odds that it working could ultimately result in ascension, or MAJOR growth for the soul, and ultimately higher self. The Kundalini can activate as early as one year old. 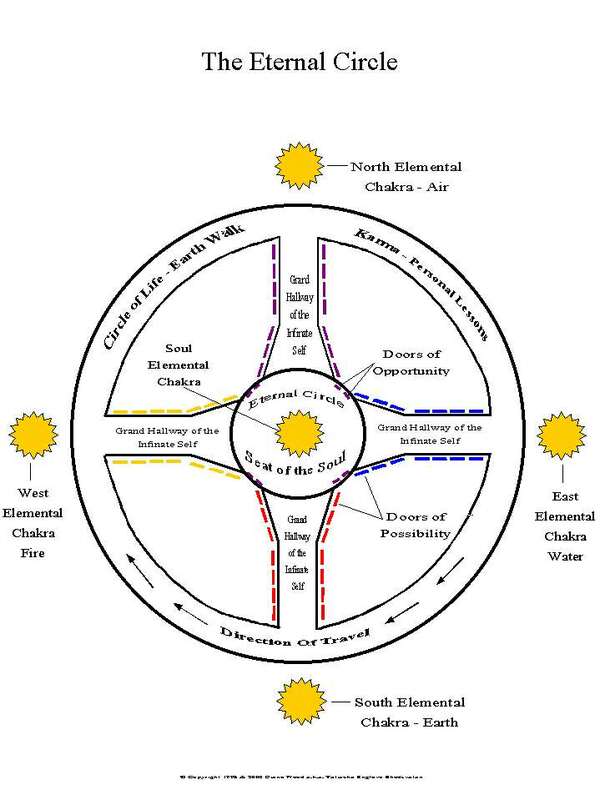 · In this society your elemental chakra attention is most likely in the north. (air) It should be in soul elemental. Find out where it is and move it into soul elemental work on keeping it there as it has a tendency to bounce back to it’s habitual place. Note: Because we have been talking a lot about grids you should know that this is a very basic heart/love opening grid to prepare the vibration for the next steps. · Spirit says it is like a lake; a stream flows in one end and yet there are also springs deep in the lake. At the other end of the lake the stream emerges, much larger than it entered, yet the lake is always full and pure. · Pure Love is God’s work. It is not romantic. It does not differentiate based on liking someone. It does not go only to those loving or light. It goes to every last bit of God stuff, every atom. It permeates and holds all things together, without it there would and could be no universe. It is the building block of creation. It does not stop, end, or fade and sees no imperfection. It can not be interfered with or blocked, it has no obstacles. · Five minutes a day sending pure love can cancel out any negative thought for the rest of the day. · Sending happens automatically when you are receiving. The receiving nurtures your generating machine, activating it to generate and send out love. If you stop receiving, you stop the flow. The receiving is like the gas and oil for your generator. It is the love the universe sends to you, for you to nurture self. would you say DNA activation goes along with Kundalini openning? in other words can one occur without the other? BTW, iam fond of bestali in a big way; he’s got great personality! I think of him often (i’m sure he’s aware of that :)) Is there a possibility you consider channeling again?